Root canal treatment in Islamabad can be an extremely intense choice for a patient. Patients are normally frightened of a root canal treatment. Patients who might preferably get their teeth extricated instead of sparing it. In any case, the dentists at Kensington Dental & Implant Centre don't blame patients for this. This is because they've had awful experiences with a lot of dentists. In any case, Kensington Dental & Implant Centre guarantees patients that they won't feel any kind of pain during or after the treatment. 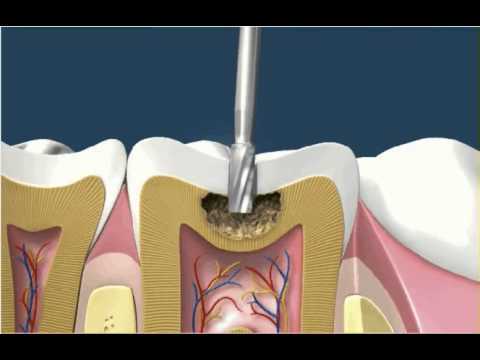 Endodontic therapy or root canal treatment is basically the treatment of the infected pulp. This infected pulp is removed by a series of steps that relieves the patient from pain. Root canals contains blood vessels, nerve tissues and cellular entities which get infected by a cavity or any sort of periodontal disease. Endodontic therapy or root channel treatment is fundamentally the treatment of the infected pulp. This infected pulp is expelled by a progression of steps that relieves the patient from pain. Root canals contains veins, nerve tissues and cell elements which get infected by a cavity or any kind of periodontal disease. Root canal procedures are normally very complex, it might include one visit or several visits depending on the tooth to be treated. Regularly there is some type of infection or inflammation present below the tooth/teeth. However, this may not be the case in each patient. Sometimes the patient might feel unbelievable amount of sensitivity to hot and cold drink or food which may permit us to go for a root canal treatment. To cure this, the dental specialists at Kensington Dental & Implant Centre drills into the tooth and remove the infected tissue by little needle shaped hand instruments. At Kensington Dental & Implant Centre we are specialized in Root Canal Treatments. We now are positioned to deliver full cutting-edge technology in root canal treatments for you. We are fully trained to solve your aching tooth problem. Our restorative dentists can perform the best root canal treatments possible. All our equipment is imported from England.